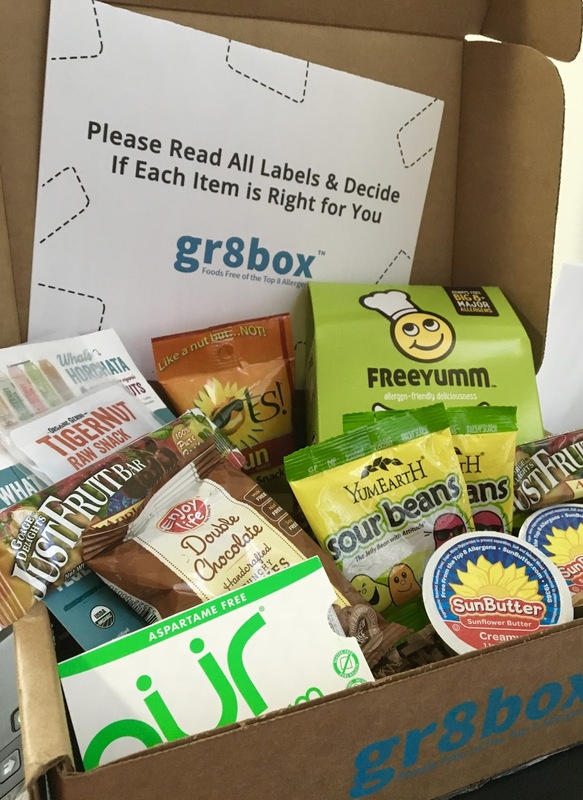 Gr8Box is sold for $19.99 a box with a shipping fee of $5. Every dollar you spend on a box, you can earn points to redeem in their online store. Each month's box has a different assortment of items, and if you like a particular item in the box, you can purchase it online in their store. For more information, click here. For a sample, I tried the April box, which was the first one curated by the company. The box arrived with eight products, all snack sized except for one which was full-sized. Some of the companies I recognized (such as Enjoy Life Foods and SunButter) yet the majority of the samples were from companies I did not recognize nor have tried before. 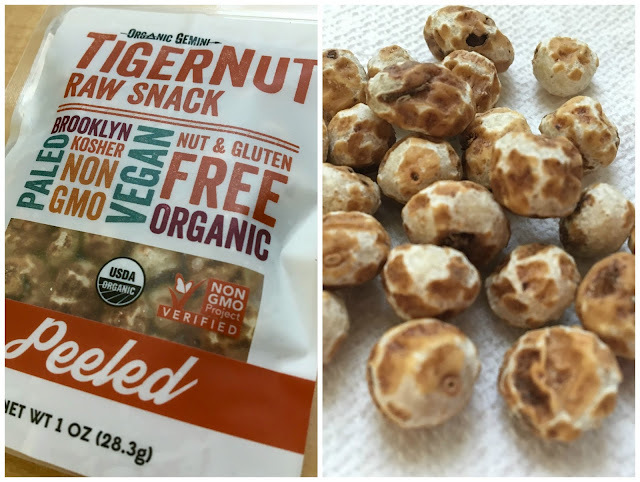 Of all of the products included, my top two favorites were were the the sour beans from YumEarth Naturals and peeled tiger nuts from Organic Gemini, both of which were new to me. The beans were fruity and wonderfully sour without being overly or sweet. Made without artificial colors, high fructose corn syrup, and nuts, dairy, eggs, shellfish, and wheat/gluten, these are perfect for those with multiple food restrictions. I'm not a candy person, but I would buy these again whenever I get a craving for candy. The tiger nuts, a new-to-me "nut," I was surprised to learn are actually not nuts at all. It's actually a root vegetable. I loved the nutty, sweet flavor, and that they definitely have some serious health credibility due to their abundance of fiber, iron, and potassium. I felt full after eating the 1 ounce service, and definitely satisfied for hours afterword. These definitely will be incorporated into my snack routine going forward! Gr8box works for me, because I found two new items I definitely would buy again. 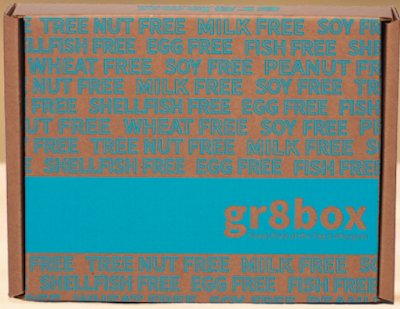 I love the idea of a top 8 free subscription box, and know it will be a hit with families with multiple dietary restrictions, or as a gift item for people of all ages with multiple food allergies. 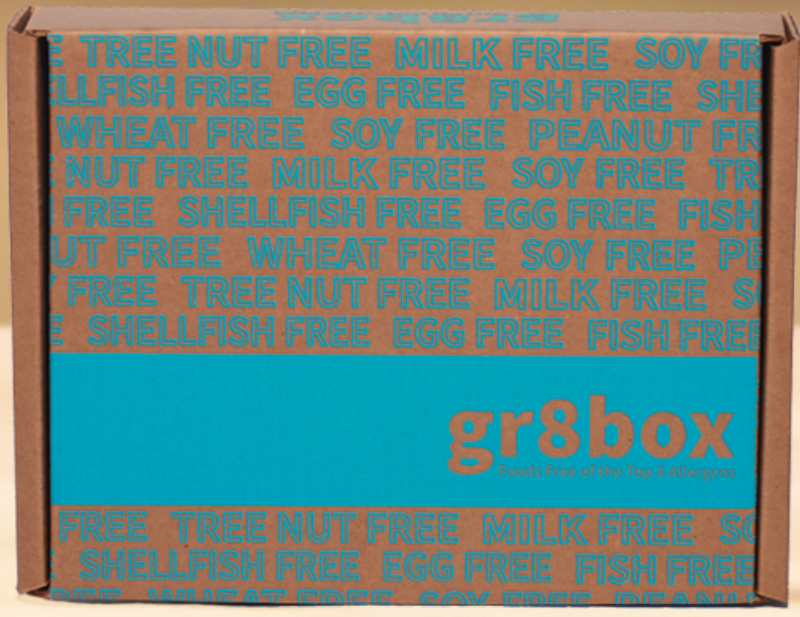 For more information about Gr8box, visit their website here. Disclaimer: This review is current to the original publication date. Updates will be noted. Ingredients and manufacturing processes can change without notice. Each product should be reviewed for individual nutritional needs. Feel free to to contact me with any questions or comments. Gr8box sent me samples free of charge for review purposes, but the review is a reflection of my personal opinion.